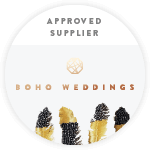 About Us — The Canvas Tent Co.
We aspire to make the best day of your life, even better. A close-knit team, with a big heart for outdoor living. Our love for the Great British terrain, camping and adventure extends to a passion for unique open-air events and original wedding ideas. Established in partnership with Will’s Marquees, we take a personable approach to marquee hire. With extensive experience in events, venue management and creative styling, we work alongside you to create your perfect day. Our handcrafted original sailcloth tents are available to book now, so don’t hesitate to get in touch for your free quote.